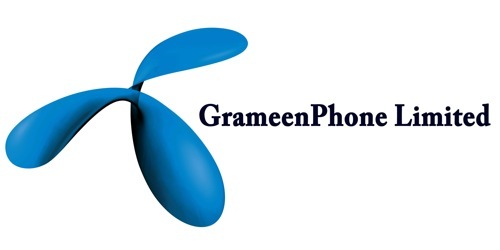 It is a broadly described annual report of GrameenPhone Limited in the year of 2011. In 2011, GP has paid to Bangladesh Government BDT 6,015 Crore as direct taxes, VAT and duties, and in fees paid to the Bangladesh Telecommunication Regulatory Commission (BTRC). GP has contributed BDT 24,517 Crore to the National Exchequer since its formation in 1997. GP earned BDT 8,906 Crore revenues for the year 2011 with 19.2% increase from 2010. Net Profit after Tax (NPAT) was BDT 18.9 billion (BDT 1,889 Crore) with 21.2% margin compared to BDT 10.7 billion (BDT 1,071 Crore) with 14.3% margin of the last year. Total asset base decreased marginally by BDT 60 Crore between 2010 and 2011 mainly due to higher depreciation of fixed assets compared to yearly addition and swapping of network equipment with lower book value. Capital expenditure during 2011 was BDT 1,296 Crore compared to BDT 846 Crore in 2010, which was mainly spent for network modernization. For the year ended December 31, 2011, the Board of Directors paid an Interim Cash Dividend @140% of the paid-up capital amounting to BDT 18,904,200,308 which was BDT 14 per share of BDT 10 each. Now, the Directors are pleased to recommend a Final Cash Dividend @ 65% of the paid-up capital amounting to BDT 8,776,950,143 which is BDT 6.5 per share of BDT 10 each out of the undistributed profits of the Company for the year 2011, inclusive of the Interim Dividend of 140% paid already, thus making a total dividend of BDT 20.50 per share amounting to BDT 27,681,150,451 for consideration and approval of the Shareholders for distribution.